I am writing you all the way from Romania. It’s a chilly evening. We may get snow tonight. I can smell it in the air. Funny how I’ve been gone from here for almost 18 years but I can still recognize the smell of winter. Today I walked to the market with my mom. We bought lots of flowers and candles. Tomorrow we go to the cemetery to remember my grandparents and great grandparents. There will be lots of light candles on the graves; to show them the way to us, for that one embrace a year. It’s my first iluminatie in many years. It’s been non-stop for the past 8+ weeks. I launched the Kickstarter campaign for the feature documentary of vampires and thanks to you, we blew it out of the water. Then Forest and I played a live set at Pandora Radio in Oakland and immediately after went to Tallgrass Film Festival in Wichita, KS where we made so many new amazing friends and got very little sleep. From there we flew straight to Romania and I began working on my October film. Then we got sick with colds, then we traveled up the Carpathian Mountains to get footage for the big movie and now, we’re home so I can finish editing the short film, write to you and film the day of the dead today. Thank you for coming along with me on this journey. It’s so much more beautiful because I get to share it with you. I’ve always loved shepherds. As a child, I admired them fearfully from afar. Like bus drivers, shepherds were superhuman in my imagination. The kinds of guardians of life that are to be respected and not quite understood. Making this film is a dream come true for me. Sergiu who was a poor outcast had the love for his sheep to propel him forward. I wanted to keep the film short so I couldn’t include all of the stories he told me. He once spent a whole bitter winter in a cave with his sheep so he could save them from the communist government. He used to steal into the village at night and get wine from my grandparents so he could make his polenta with it. That’s how he kept warm, he says. A man who loves his sheep above all else. Join my mailing list to watch this film and the rest of the 2016 monthly films. It’s Thursday. It’s October. It’s 2016. A few days ago I thought it was February so it’s a good practice for me to check in with the real timeline. The Kickstarter campaign has been a real thrill and blessing. After the initial heavy lifting of preparing for it and the stress and lack of sleep during that first week, the angels starting coming in and bringing so much support and encouragement. You know who you are. My heart is full and ready to create this film. I am eager and honored to be the one to capture the beauty, the fierceness, the mystery and the otherworldliness of Transylvania and its vampires. Some of the stories I will be collecting belong in a fantasy movie, except that they are true. There are 8 days left on the Kickstarter campaign. I invite you on this journey with me. You can contribute as little as $1 and get all the updates or as much as 10K and be an executive producer. Transylvania has just received its first snowfall. It looks like we’re heading into a cold winter. Before heading to Romania, Forest and I are getting on a plane on Tuesday and heading to Tallgrass film festival in Wichita, Kansas where not only will I get to see amazing films, enjoy the VIP treatment but I will get to share my journey into filmmaking with my peers and aspiring filmmakers. It will be a very special time. My heart is filled with gratitude for you. Thank you for reading my letters and for supporting me in what I feel is my part in our world. If I can bring a bit of joy or sense of magic to your life then I consider myself a success. PS. The photo above was taken by Forest atop Vlad Dracula’s real castle in Transylvania. We will be returning there soon. PPS. I will be continuing my film challenge until I reach my 12th film, in January. As I’m writing this letter to you I can hear the tuning man downstairs; repeated notes, shrill and loud float up to my room. It makes me think of life and living and how sometimes, being me feels messy and I feel just like those notes: shrill, too loud and out of context. And then I open my bigger-vision-eyes and see the larger picture; I am an instrument with incredible capacity for beauty and love; and so are you. Who’s in that photo above and why is it in this email? You know how I like to show you stuff before anyone else gets to see it, and tell you to keep it a secret and ask you for your feedback? I’m doing that again.Audio still needs work. It’s nice, just not perfect. I’m also going to add my parents in the thank you section. Sending you much love and wishing you a happy and blessed Thanksgiving. Here’s another sweet video from the Porch Sessions, the Tulsa OK edition with Jesse Aycock. PS. Sorry for the massive length of this message. Thank you so much for taking the time to read, love and support what I do. It means a lot to me.Write back and tell me how you are. PPS. I didn’t even tell you anything about our trip to the Asheville film fest in NC to witness the debut of our short film, All Sales Final! So amazing!!! Too much to tell. 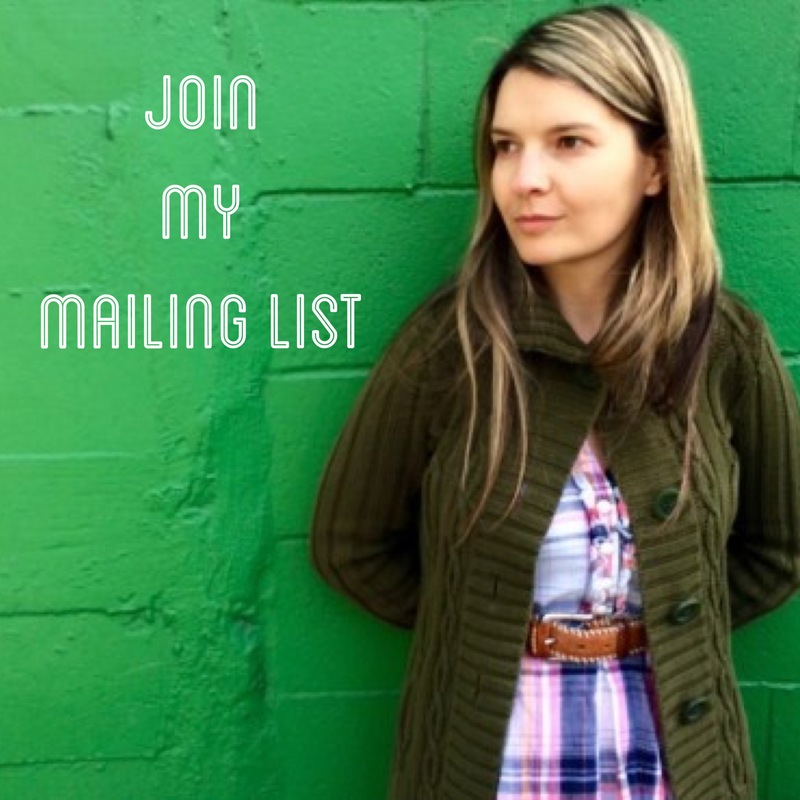 If you’d like to receive my newsletter, you can join here.